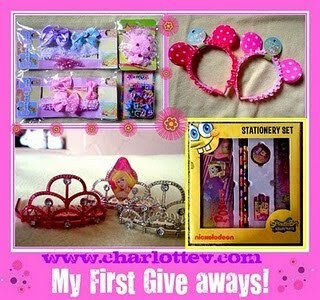 Charlotte's mom is turning 28 on July 20 and is holding her first giveaway to celebrate. anyway Goodluck po sa contest! Good luck on the giveaway hun. @sweetmom - Sorry for the confusion. I coorected my entry. Thanks for calling my attention to it. Have a nice day!